Royal Caribbean Cruises today reported 2018 US GAAP earnings of $8.56 per share and adjusted earnings of $8.86 per share. In addition, the company announced that 2019 adjusted earnings are expected to be in the range of $9.75 to $10.00 per share. For 2018, US GAAP Net Income was $1.8 billion or $8.56 per share and Adjusted Net Income was $1.9 billion or $8.86 per share in 2018 versus US GAAP and Adjusted Net Income of $1.6 billion or $7.53 per share in 2017. For the full year 2019, the company said adjusted earnings are expected to be in the range of $9.75 to $10.00 per share. Net Yields were up 4.4% in Constant-Currency. Strong demand for core products, better onboard revenues and the consolidation from Silversea's operations drove the year-over-year increase, the company said. Favorability from depreciation and joint ventures also contributed to the quarter's positive performance. The company expects full year Adjusted EPS guidance to be in the range of $9.75 to $10.00 per share for the full year 2019. Wave Season has started on a strong note and the company's overall booked position for 2019 is better than last year's record high and at higher rates, the company said. The company expects a Net Yield increase in the range of 6.5% to 8.5% in Constant-Currency and 6.0% to 8.0% As-Reported for the full year. These metrics include approximately 350 basis points from the operation of Silversea, the cruise terminal in Miami and the Perfect Day water-park and resort on the island of Cococay in The Bahamas, which will launch in May of 2019. As an ultra-luxury brand, Silversea's revenues and expenses, on a per APCD basis, are both higher than the company's average. Moreover, the new Miami based terminal and Perfect Day will also increase both company revenue and cost metrics, since their additions do not include APCDs. Net Yields are expected to increase 7.5% to 8.0% in Constant-Currency and 5.5% to 6.0% As-Reported in the first quarter. 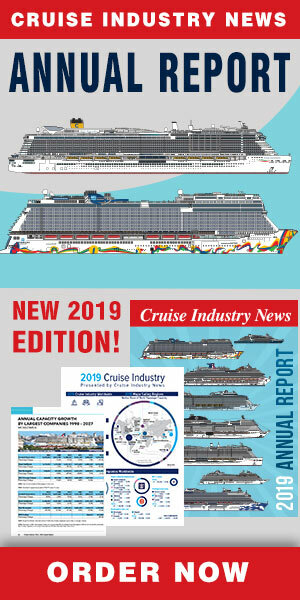 These metrics include approximately 375 basis points from the operation of Silversea and the cruise terminal in Miami.